Dr. Davenport focuses on environmental health and aquatic systems--plants, macroinvertebrates, and fishes. Much of his work has been on the Cahaba Lily, which is restricted to shoal areas of the main rivers and tributaries of the Southeast. His efforts to protect this plant and its habitat were recognized by the Alabama House of Representatives, which designated May 27, 2006 as Professor Lawrence J. Davenport Day. Dr. Davenport combines his scientific and creative sides by writing a nature column for Alabama Heritage magazine. Twenty-five of these columns are being published as a set, Nature Journal, by the University of Alabama Press. At Samford, Dr. Davenport teaches undergraduate courses in general botany and plant taxonomy, plus a graduate course in wetlands in the Environmental Management program. During Jan Term, he offers natural history trips to Peru and Belize. In addition to teaching, he serves as director of Samford's Vulcan Materials Center for Environmental Stewardship & Education. 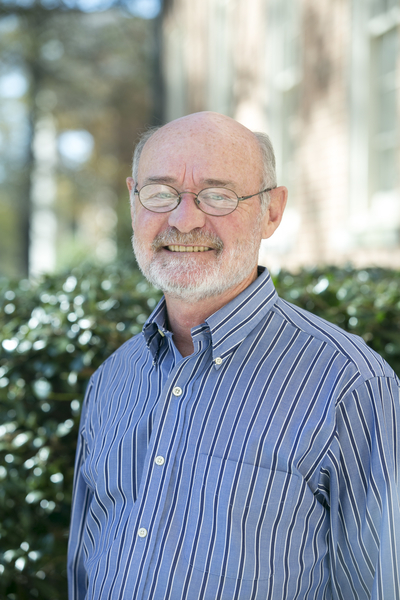 Dr. Davenport has won several teaching awards while at Samford, including the John H. Buchanan Award for Excellence in Classroom Teaching (1991). In 2007 he was named Alabama Professor of the Year by the Carnegie Foundation for the Advancement of Teaching.